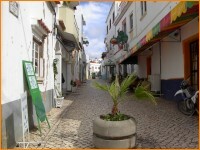 It is believed the Carthaginians founded Alvor and its history is interesting. 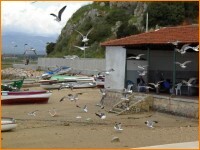 It is said by some that it was really the site of "Portus Hannibalis". The Romans gave it the name Ipses and it was considered an important port and was allowed to issue its own money. Its importance is confirmed by the ruins of a wealthy Roman villa located slightly inland from the present village. In the time of the Moors, who first occupied the area in 716, they gave it the named of "Albur" and the village passed through both the Portuguese and Moors hands several times until 1250 when the Christians conquered it for the final time. King Dom João II, who is regarded in history as an outstanding Portuguese king, is recorded as dying in within the town walls from a prolonged illness in 1495. 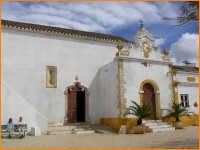 Most of the original village and its castle was destroyed in the earthquakes of 1532 and 1755. 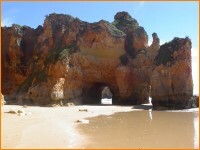 Places near to Alvor are the commercial town of Portimão, the famous popular beaches of Praia da Rocha and Praia do Vau, and the semi-nature reserve of Quinta da Rocha.